One of the most obvious reasons, and a good one though, is that it makes you fitter, stronger, improves your stamina, and makes you agile. Sweating will help to detox your body by removing toxins which improve the skin. The mind becomes razor sharp and your reaction time improves. It gives you direction and you become more disciplined. 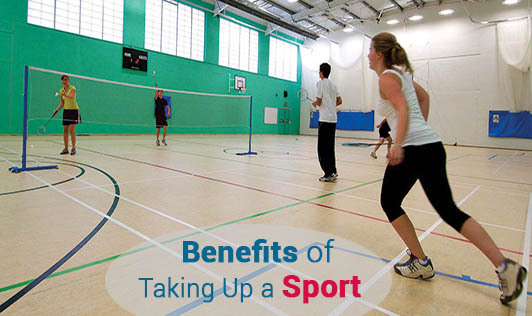 Taking up sport means meeting new people and widening your social circle. You understand what team work means. It brings more value and joy to life. The adrenaline rush helps you realize that nothing is impossible. It helps you set goals and achieve them. You feel a sense of well being as it makes you feel young at heart. So, why not take up a new sport? It could be the best thing you ever do!